Recent studies indicate that serum levels of osteocalcin, a 49-aminoacid bone matrix protein, are a biochemical marker of bone formation. In order to study bone metabolism in diabetes mellitus, in 28 patients with Type 1 (insulin-dependent) diabetes mellitus, in 38 patients with Type 2 (non-insulin-dependent) diabetes mellitus and two control groups, matched for Type 1 and Type 2 diabetic patients, respectively, serum levels of osteocalcin, parathyroid hormone and 25 hydroxy vitamin D were measured by radioimmunoassay. Whereas in Type 1 diabetic patients and control subjects serum levels of osteocalcin and 25 hydroxy vitamin D were not statistically different, serum osteocalcin and 25 hydroxy vitamin D levels were significantly decreased in Type 2 diabetic patients when compared with corresponding control subjects (p<0.03 and p<0.001, respectively). Independent of the type of diabetes, serum parathyroid hormone levels were comparable in diabetic patients and matched control subjects. Serum osteocalcin levels were significantly lower in Type 1 diabetic patients with retinopathy and/or proteinuria than in Type 1 diabetic patients without microangiopathy (p<0.05). Whereas serum parathyroid hormone levels in Type 2 diabetic patients with retinopathy and/or proteinuria were significantly increased (p<0.02), 25 hydroxy vitamin D levels were decreased (p<0.02) when compared with Type 2 diabetic patients without microangiopathy. Our data give evidence of a vitamin D deficiency and a decreased bone formation in patients with Type 2 diabetes mellitus. 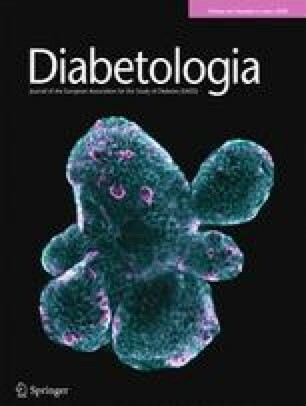 In Type 1 diabetes mellitus bone formation as reflected by serum osteocalcin levels is influenced by the presence or absence of microangiopathic complications.